We LOVE the colors of these jute totes. 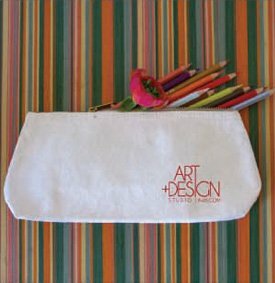 They are very roomy and the front slit pocket is ideal to store papers, catalogs, tickets, or small items such as your keys. 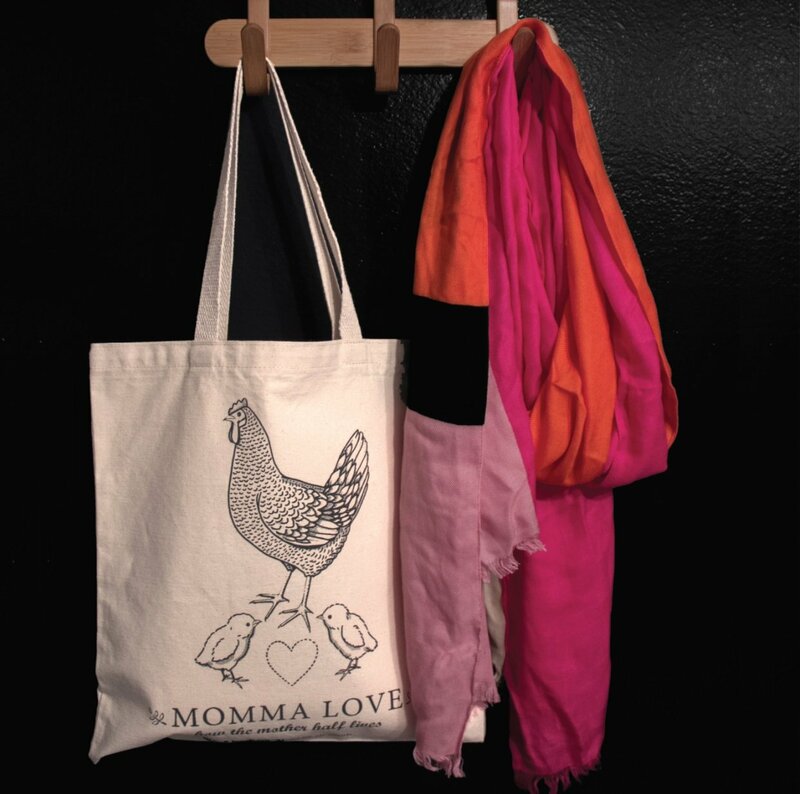 The fashionable shades make them a fun use tote for young and old. 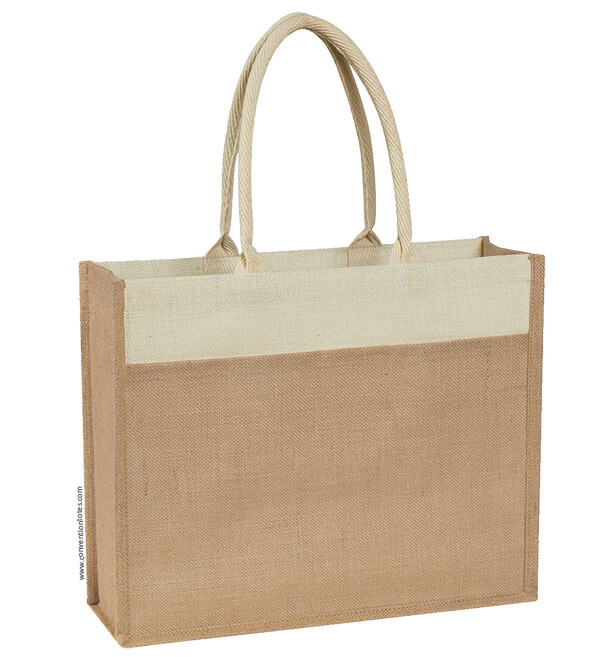 Jute is a natural vegetable fiber. 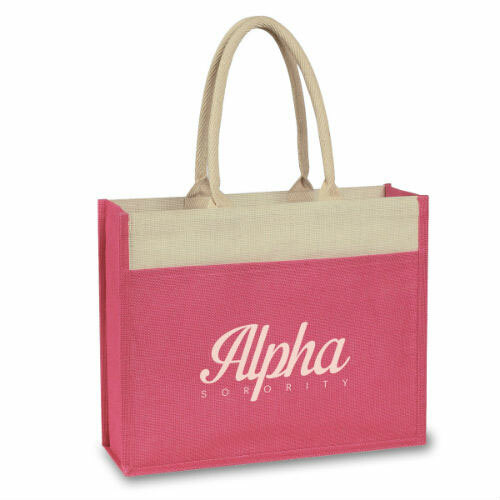 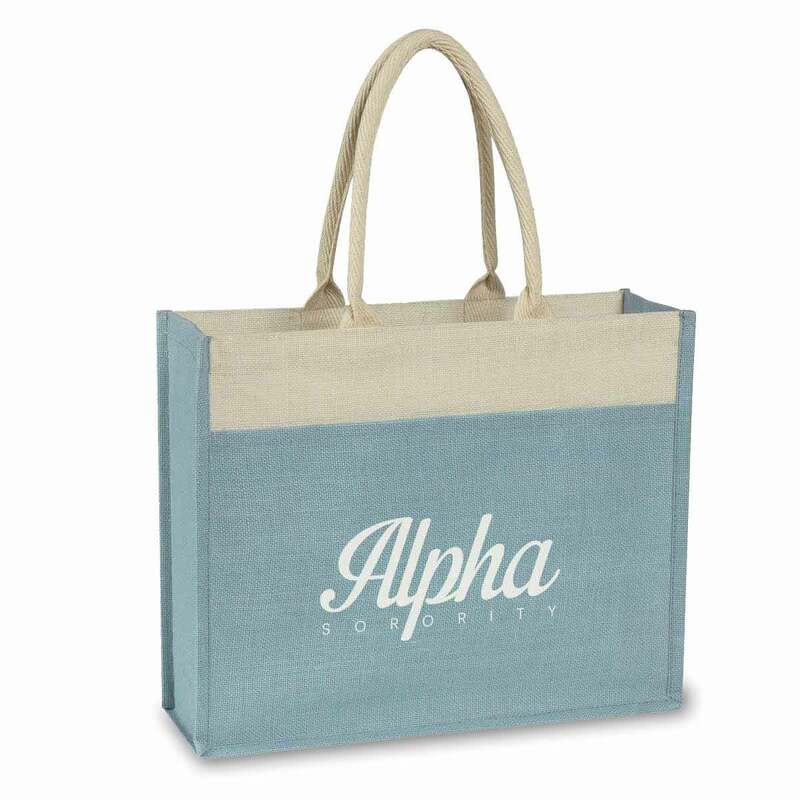 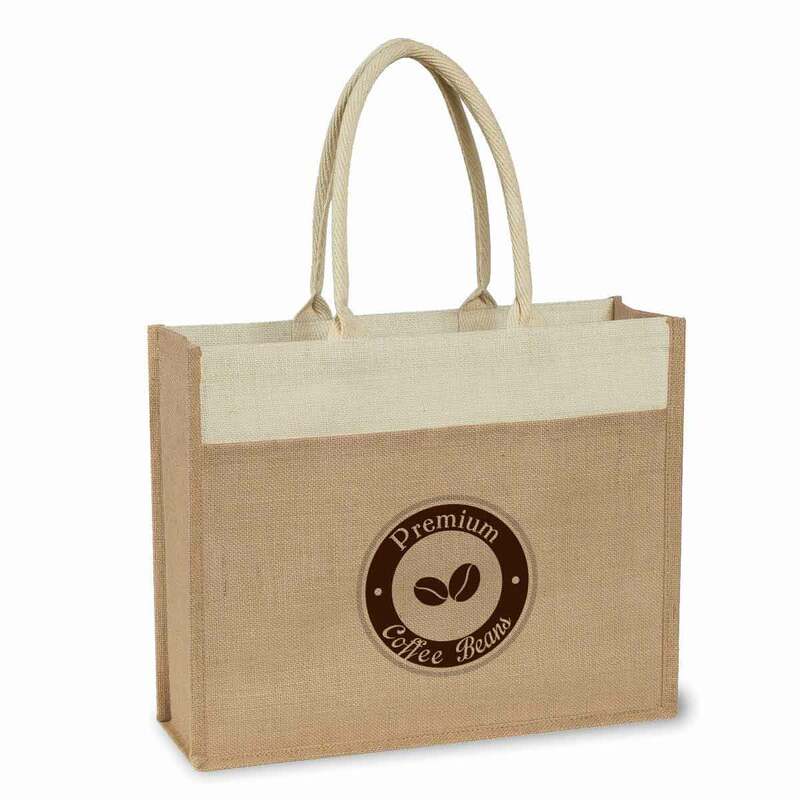 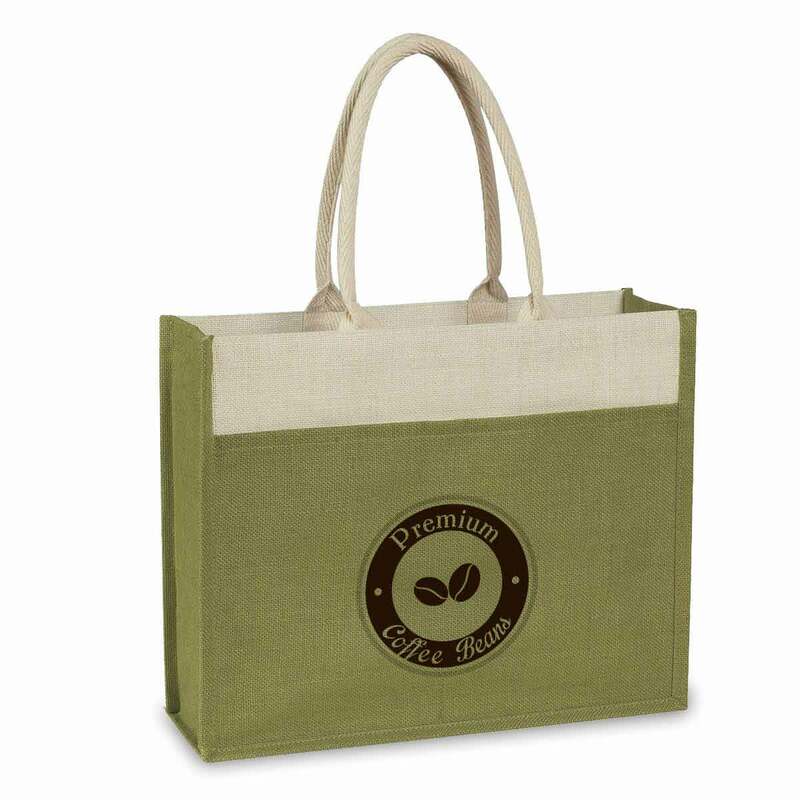 The bag stands on its own - also great to be used as a gift bag for your wedding guest or a cruise tote. Available with a large imprint area to make your own imprint or design.